You are here: Home / Ethnic Groups / The People of Kalimantan / Who are the Sanggau-Sekadau? Most Dayak people groups in the Sanggau and Sekadau districts are Christian. But the Sanggau-Sekadu are a Dayak people group who follow Islam. Some have changed religions for personal reasons while others have married a Muslim. Dayaks can become Muslims either as individuals, in a family, or together with all the people in a larger group. The term “Dayak Senganan” refers to a group of Dayak people who are Muslims, and claim themselves as Sekadau Malay. Dayaks are the native people groups on Kalimantan. The Sanggau-Sekadau people live in the areas of Sanggau and Sekadau, which are separated by about an hour’s travel on public transportation. The Sanggau-Sekadau mostly live around the capital cities of the Sanggau and Sekadau regencies in East Kalimantan. The Sanggau-Sekadau group is part of the Dayak language group called the Land Dayak. It also includes the Bakati, Jangkang, and Benyadu languages. The Trans-Kalimantan road goes through the Sanggau and Sekadau lands in East Kalimantan. The Sanggau-Sekadau live in small numbers with the Dayak and other transmigrants. Rivers are the main transportation conduits for people living in most villages, as land transportation is very difficult. The Kapuas and Sekayam are the two main rivers in the area. Distribution of goods such as food, medicine, and agricultural products is done by river. Water vehicles include small boats, barges, and motor boats. The Sanggau-Sekadau make their living through farming and fishing in the river. 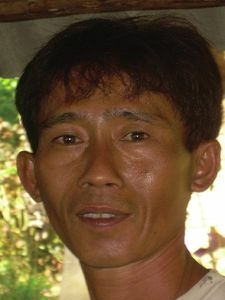 Many Sanggau-Sekadau are poor. In general, the Sanggau-Sekadau claim to follow Islam. However, mystical influences are still evident in their lives. Shamans are important figures in their society, but they are considered poor because of the many prohibitions placed upon them. The Sanggau-Sekadu live in the middle of the larger Christian Dayak group. There have not been any religious conflicts between the Dayaks and the Sanggau-Sekadau. Although the Sanggau-Sekadau live in the capital city area, they lag behind other groups economically. Their per capita income is lower than the minimum requirement for a basic standard of living. Because of this, assistance to begin trade could help them see their economic potential and utilize their position in the regency’s capital, which has good economic access. Additionally, the Sanggau area doesn’t have enough teachers. This is an urgent need which has been identified by the local government.